Our time in Romania is over, wow that went way too fast. We thought 10 days might be too long to visit one castle and maybe see a mountain, in reality Romania had enough to hold us for a good 4-6 weeks. We haven’t touched the Black Sea, the Delta or gone up to the North where we read the scenery rivals Transylvania and we made a decision not to visit the capital this time. So all in all we need to come back to Romania, there really is so much we want to see and the other bonus is it has to be the cheapest place we have ever been. Add to that the campsites are our kind of style – small, 10-20 pitches, great facilities, right in the villages and less than £7 a night – for us perfect. 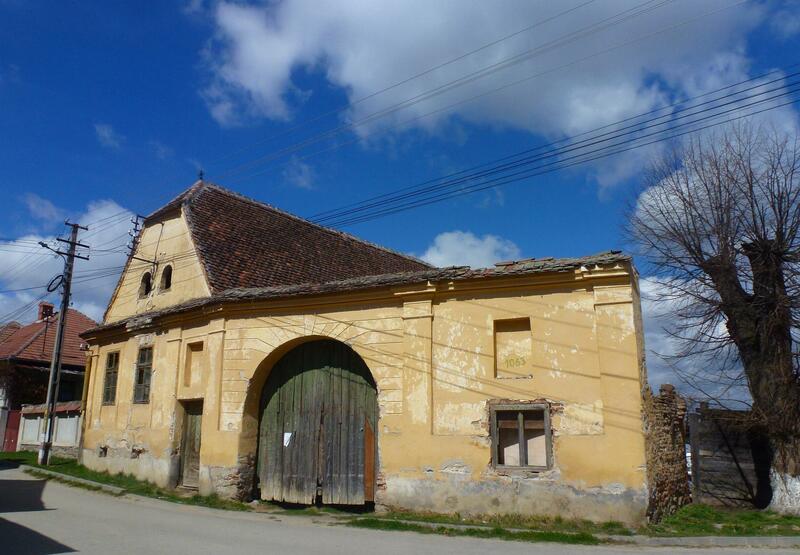 We spent much of this week around the Sibiu area, a mix of the very traditional and the modern. The first village we stayed at, Carta, is a place of contrasts. 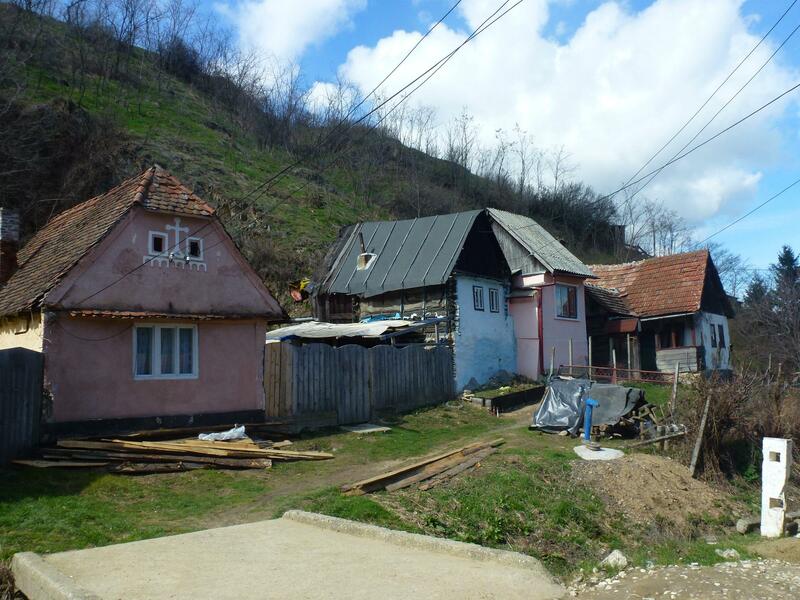 Older housing with much of it still lived in by Romanians who work the plots of land and dress in traditional clothes but also within the village are the houses are renovated and owned by German and Dutch families. Some roads are paved with individual bricks, more than most are dirt tracks. 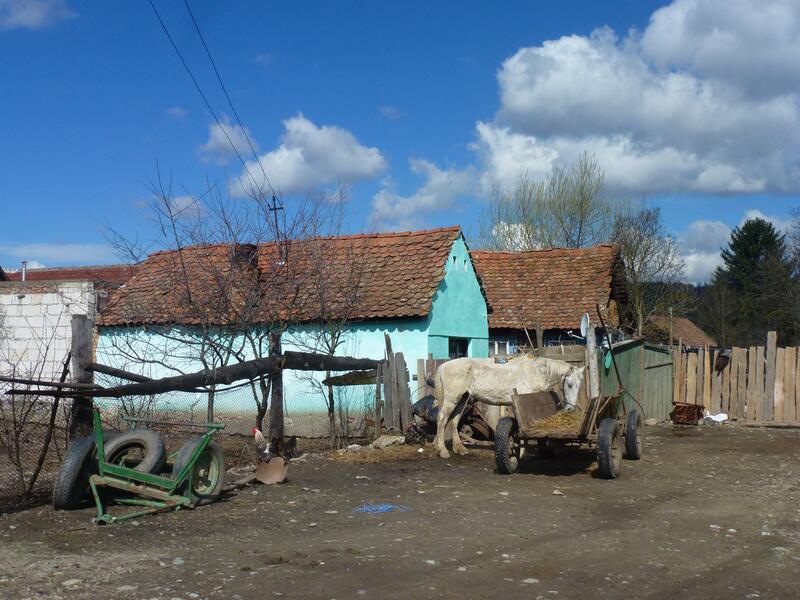 But whether it was the old or new, all have a real pride in where they live, forget the tales of the how run down and ruined Romania is – most of the villages are exceptionally well kept. We stayed on a Dutch owned campsite, in the middle of the village so very much a part of everything that is going on. The chap next door had some very unfriendly geese, which did chase me down the road but other than them everyone was very friendly towards us. 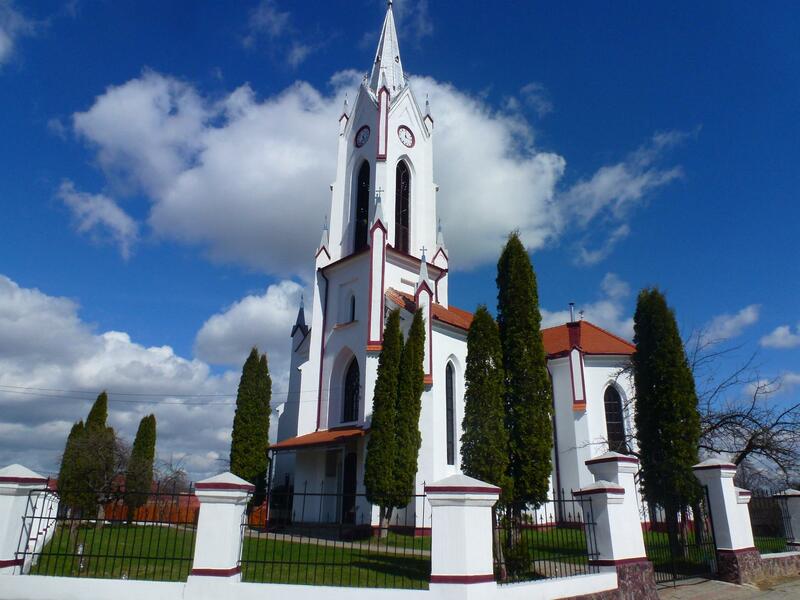 The area is famous for its customs such as the wearing of traditional folk costumes (which look a bit Welsh), glass painting and the most ornate wooden churches, often with the insides painted in elaborate frescos. The housing is mainly traditional but most of the original wooden houses have long since gone, in some villages there are still a few around and more so the wooden barns remain in many gardens, The architecture is strongly influenced by the Saxons, most streets have the traditional big houses, with internal yards and barns all enclosed with big walls and massive wooden gates. In Saliste we found, for probably the first time, no one in the village spoke a word of English. I went to get bread one morning and was a source of much mirth and laughter. I opened the shop door to be told off by several local women making bread, you buy it from the small hole in the wall outside. I went to stood at the hole in the wall and had no idea what to buy, the lady held something up, they all laughed, it was stuck in the microwave and then given to me, again to much giggling, as I walked away I heard further peals of laughter. Back at the van we had it for lunch, akin to a deep fried pizza with cheese wrapped inside, we quite liked it and have no idea what was funny! 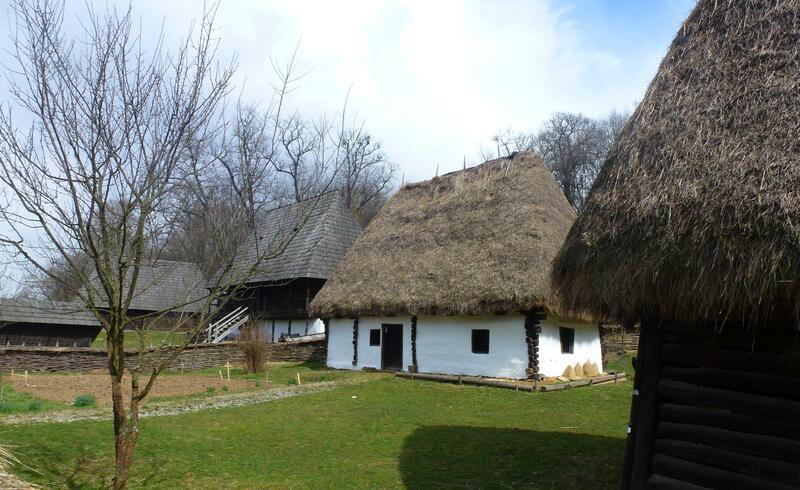 Just outside Sibiu is an amazing outdoor museum where houses from all around the country are brought to and re-assembled. We went down for an afternoon, we lasted half an hour. It is with out a doubt a brilliant place to visit but with the sleet coming down and the wind chill making it feel like it was below freezing we retired to the cafe for hot drinks and thawing, a mega shame as so much to see. The cafe made up for it a little, an original hostelry rebuilt with all the original furniture, tiled fireplaces and stone floors – the coffee on the other hand could rival Greek coffee for pinging your eyes out on stalks. 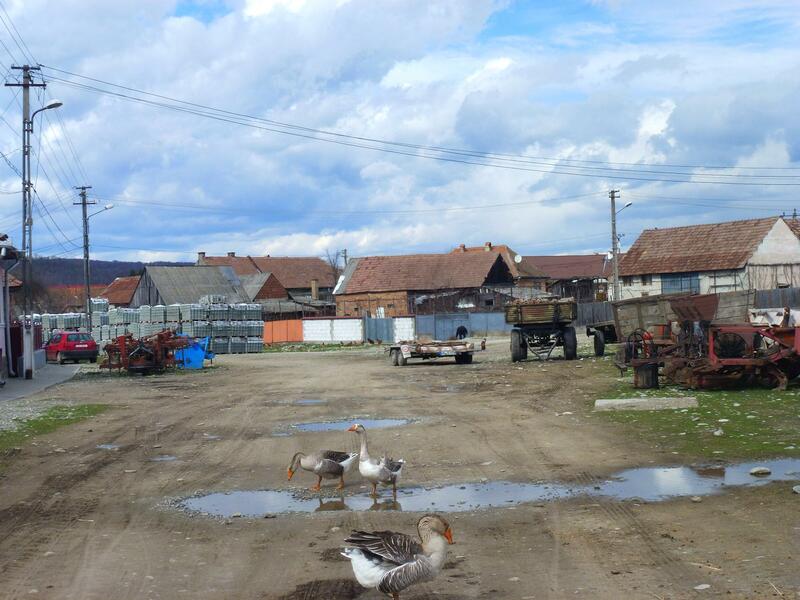 We drove from the Sibiu area up to Baile Felix where we are now parked up in a strange little campsite that rather resembles a car park that has been fenced in so everyone passing can stare in. Just us staying as usual though, despite this being a bit of a holiday haven. The thermal waters are a major draw here with two massive water parks, even this evening whilst it is what you would call ‘bloody chilly’ there are loads of daft buggers sat in the thermal swimming pools, a few are throwing beach balls around but most are just sat. For us spa conjures up the image of a tasteful weekend complex, here its like Butlin’s on acid. 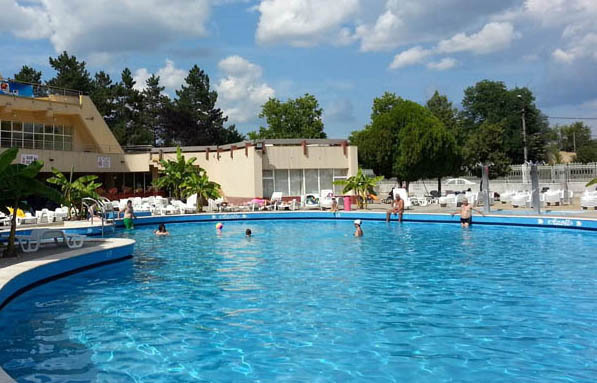 The hotels are massive, concrete and just a little scary looking but the cafes and shops are modern welcoming, there are swimming pools, slides, wave pools everywhere and stalls selling every colour of bikini as long as its lurid. 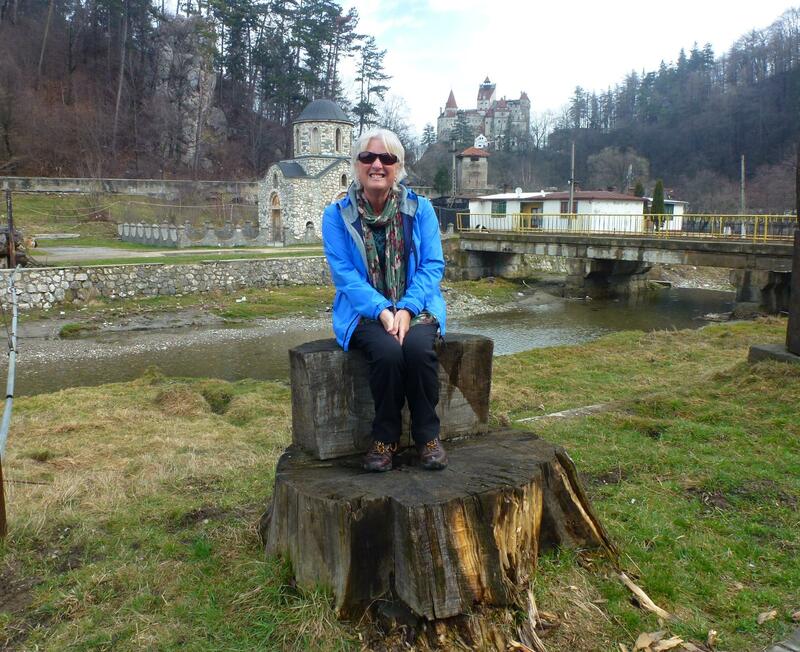 All a bit in your face after the calm and tranquility of Transylvania to date. The drive up today was the usual long and winding road affair. It has to be said that when they build some decent roads things will be easier and a bit more comfortable. Today we found a motorway, so new it wasn’t on Sat Nav and our map showed it as still being built. 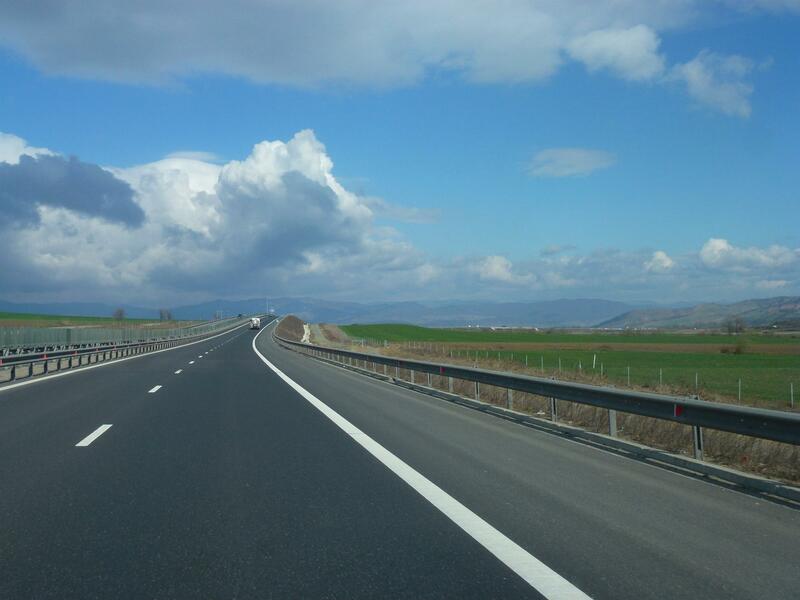 We sped over 60 km in well under an hour, then we came off and onto the major European road North West and it took us over 6 hours to drive 130 km! Roadworks, potholes, traffic lights and in places missing roads – it was the never ending journey. Iain deserves a medal as driving here hasn’t been much fun, whilst we are both sad to leave Romania we cannot wait to get back to proper roads, we will be buying a stack of cable ties and getting out the No Nails to put the van back together over the next couple of days! We are both very aware that everywhere we go I overly wax lyrical about how lovely it is and then we have set ourselves up for nothing else being as good. 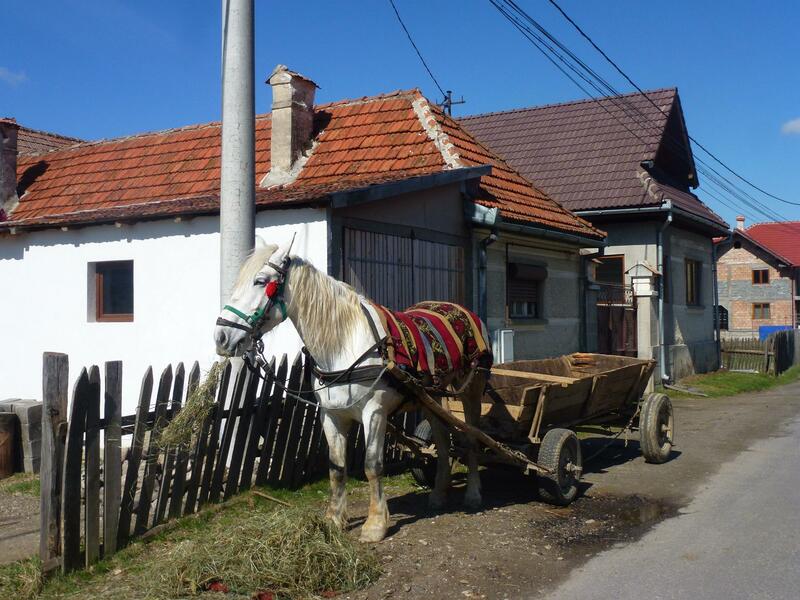 We really did wonder if Romania could live up to where we had been previously. Absolutely it does, especially when it comes to Transylvania and then it nails it and then some. We have driven over mountains, along ridges and through villages that should be on the outside of a biscuit tin. Even in the rain we could not believe how beautiful it was and how much there is to see on top of the scenery. When we came to a weeny hamlet called Podu Dâmboviţei we saw a few statues along the road side, then we came across these at the edge of the village. From what we understand its called ‘Wedding Zamfirei’ and depicts a traditional Romania wedding, this was the wedding venue and the other statues along the roads are on route to the celebration. 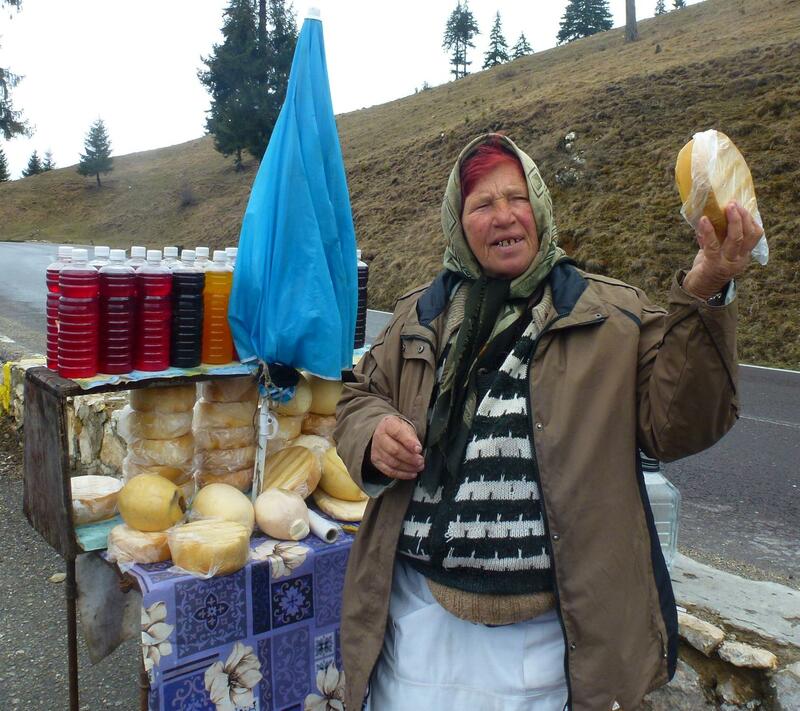 Up in the mountains at a lay-by lunch stop we met the lovely Darina. Despite that neither she or I could speak the same language we established the cheese is made by her daughter and it has never been kept in the fridge, not the best sales pitch I have heard! She wanted to sell us whole round for £5 but we only wanted a quarter for which she wanted a 1/3 of the cost – I know fail for us but she was stood out all day in the cold trying to make a living so its all fine. She kept trying to get Iain out of the van, he wasn’t keen as he thought she wanted to swap him for a cheese! She mimed to get the camera out and started posing for photos, a very lovely lady who despite living a tough life was a joy to meet. To get from A to B we have used what we could loosely terms roads, if we get out of here with the van in one piece we will be amazed. No matter how slowly or carefully Iain drives things are falling out all over the place, some of the potholes coming up the mountains were at least 6 inches deep. As we reached the high points of Mount Bucegi we experienced a little snow, there was very little settling but large enough flakes to cause a bit of excitement. 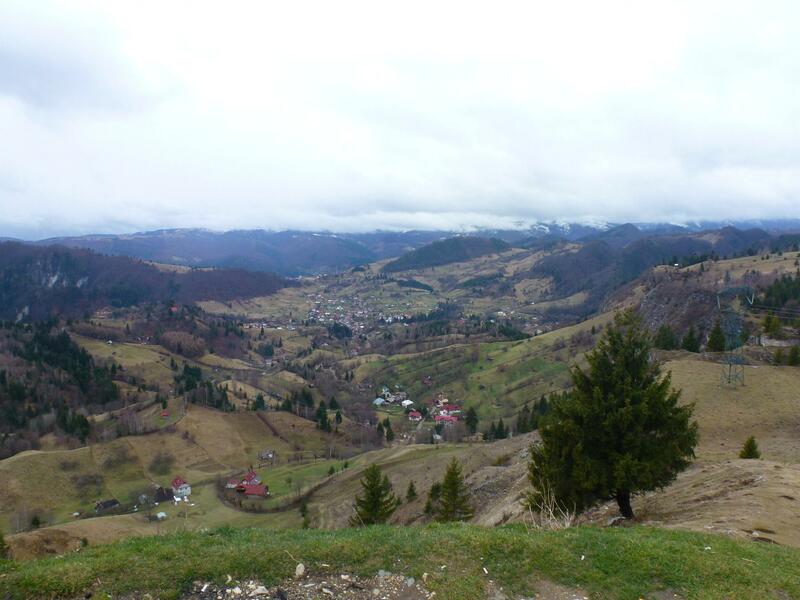 As we followed the road down the views over the Carpathians were stunning with hundreds of little villages nestled along the ridges in the valleys, the only problem is each time you stop a pack of 10-15 feral dogs pounces in case you have spare food. They are’t vicious but the sight of the bigger packs is a bit daunting, we have picked up a few odd strays for a walk through as they seem very eager to befriend you. The main event then this week was of course Dracula’s Castle. 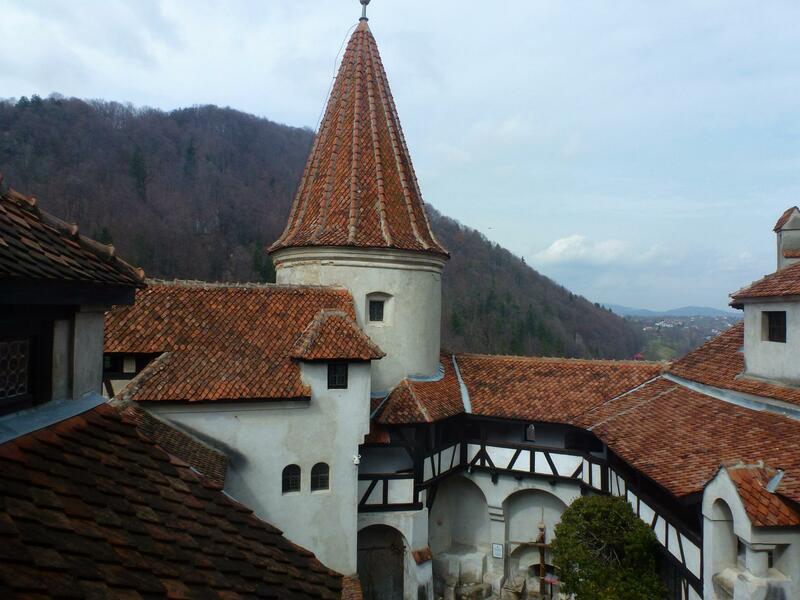 Before anyone else tells us its not the real Dracula’s castle – it is (it’s not Vlad the Impala’s castle but he is actually a different fella, sometimes known as Vald Dracul). 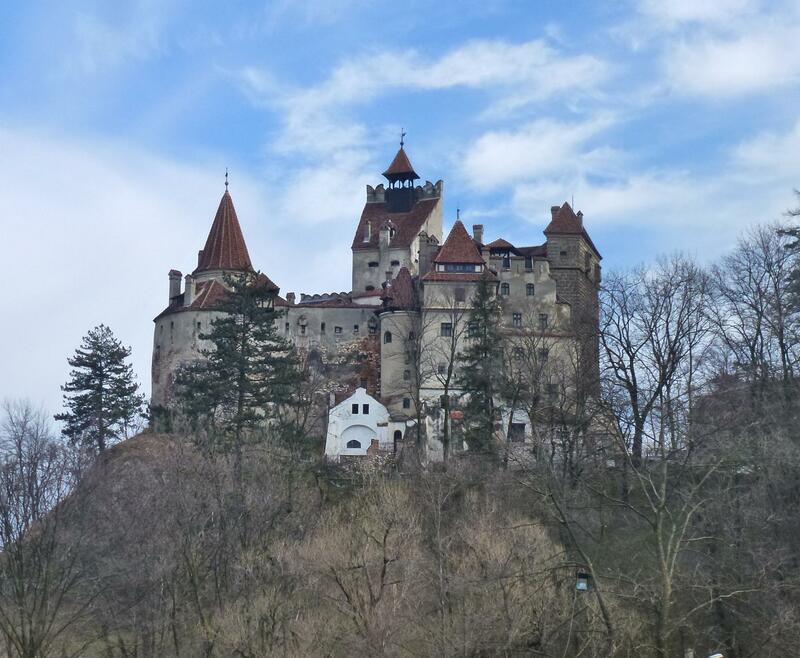 The castle in Bran is called Dracula’s castle purely because it’ts the only one in Romania that resembles the one in Bram Stoker’s book. We expected a castle in the middle of no-where and maybe a tourist stall or two. We are way behind the Romanian’s cottoning on to tourism, the best to describe what we found was Blackpool! There must be over 150 shacks and sheds around the castle selling souvenirs, if you can think of something they can put a vampire on then its for sale, as we drove through Sunday there were tour buses galore, car-parks were full and it could have given any attraction at home a good run for it’s money. The village is full of guest houses, big hotels and restaurants, mainly modern and probably built in the last 20 years. Dotted between the modern hotels are the small farms that were here long before mass tourism, and in a few derelict houses the gypsies have set up home. It’s a very mixed bag and we certainly were not prepared for it. We settled in at Vampire Camping (another lovely campsite owner who opened up specially for us) and waited for Monday to make our foray into the crowds. Monday morning we arrived at the castle to a sign that said it’s closed on a Monday! Iain checked with a security person who said it is open but only half day, so the sign must be just to annoy visitors then? we went for a shopping spree around the tatt stalls and a bit of lunch whilst we waited. 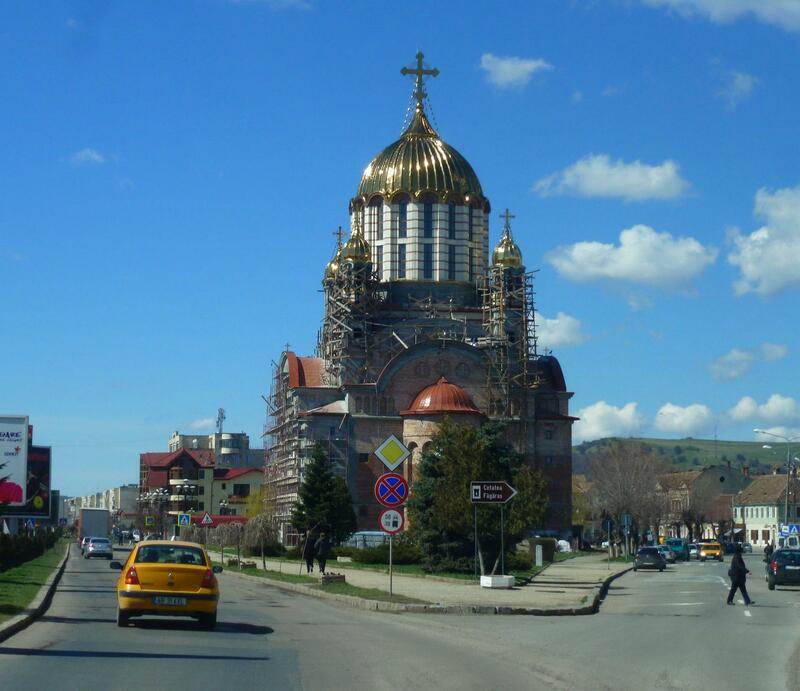 We met with an Australian family of seven touring Eastern Europe for five months by car and using hotels. The dad was telling us the worst bit is paying for loos when they are out – seven people going twice a day at a couple of € a day was not in his budget -we did the maths and could see his point! Everyone you meet has a story to tell and we both liked that one very much, its so much more interesting than how much a hotel costs. It cost us LEU 30 each to get in the castle (about £5) where we took the tour through the castle at the speed at the rest of the throng of tourists. Inside the castle they do dwell more on the actual history of the castle than the fiction, supposedly the heart of Queen Marie is kept in a casket there, luckily we didn’t seen that. Take away the Disney-esque and its a very beautiful castle worth visiting for itself. Add in the Count Dracula connection and it has to be said it does make for castle visit with a difference. 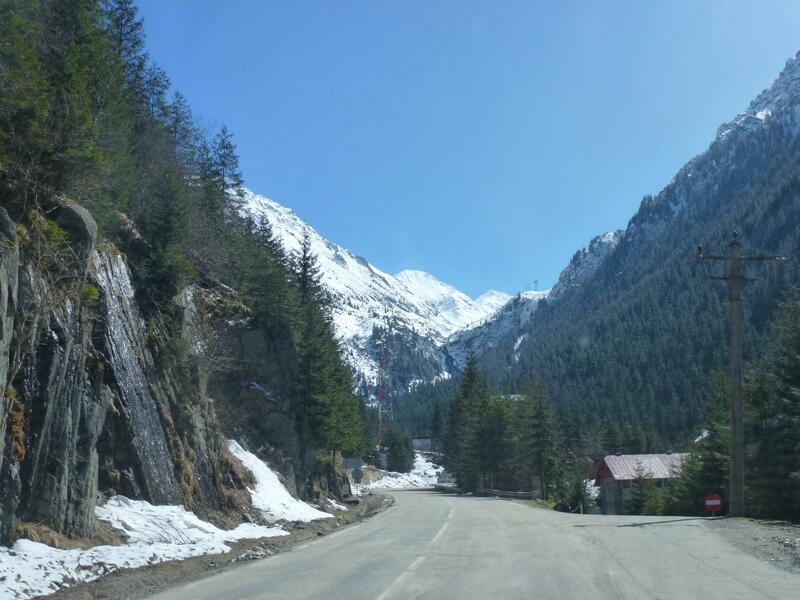 We wanted to see and drive the Transfagarasan Pass whilst we were here (probably most famous as the road Top Gear called the most beautiful in the world when they did a road trip over it a few years back). 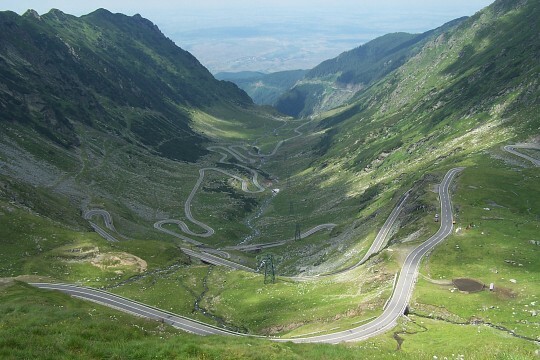 It is also known as Ceaușescu’s Folly, he had the road built between 1970 and 1974 as a strategic military route with switchbacks that run north to south along the highest sections of the Southern Carpathian mountains for 90 km. The middle section is only open for three months in the summer so we couldn’t make the whole drive. Our host here at the campsite tells us you can go over the top on a camel in the snow as part of an organised trip, alas we made do with a trip up to the road closure and the views over to the snow capped mountains, if ever there was a reason to visit Romania in summer it must be the chance to drive the whole of this road in a motorhome. Its now 18 days since we left Greece, we have still not seen one other motorhome or campervan of any nationality anywhere in either Bulgaria or Romania. The Woolly Wanderers were here a couple of weeks before us and we never quite caught up with them but other than them it seems Romania is very much ours. It may be that people don’t come because campsites don’t generally open until April or May but we have found that if we call and ask they are happy to open early for a night or two. The weather is becoming better by the day so we are going to get the bikes off and visit a few of the villages in the area over the next couple of days.